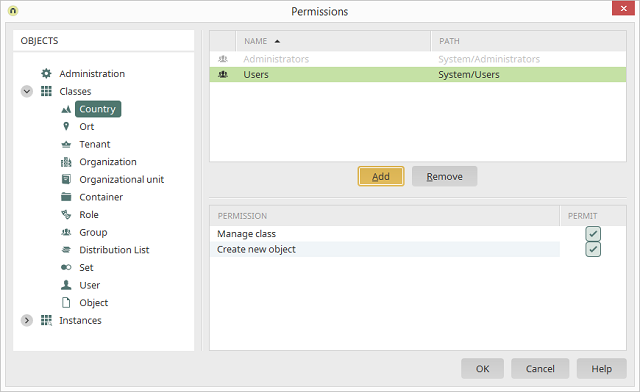 With this permission, existing object classes in the Schema manager can be edited. With this permission, the currently selected class can be edited. Allows the creation of new objects within the class. Applies to the instances taken from the basic classes Container, Set and User. 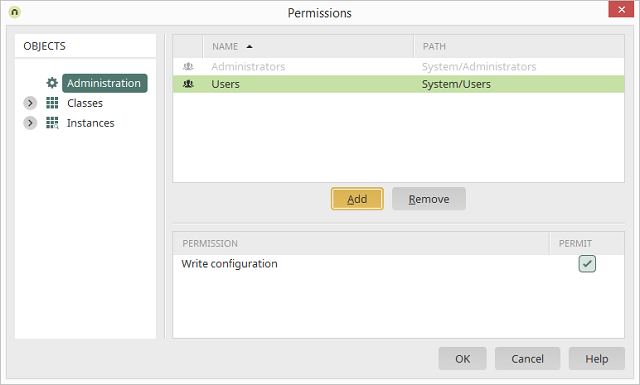 This option enables the editing of all taken instances or the respective basic class including the instances from subclasses. 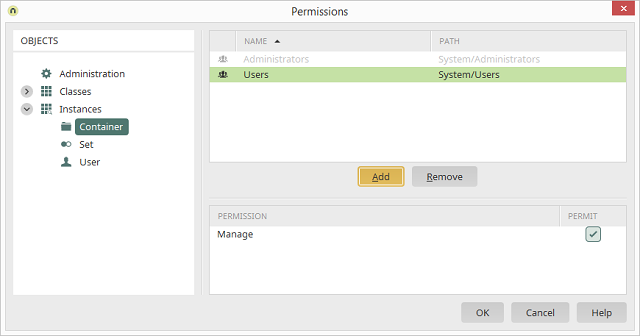 Please note that individual permissions will be overruled when you assign global permissions.